We all have stress in our lives. Often times we try to seek relief from our stress through outside means which aren't necessarily healthy for us. What if the tool for transformation was actually within us the whole time just waiting to be utilized? Dr. Dan Siegel, clinical professor of psychiatry at the UCLA School of Medicine and Executive Director of the Mindsight Institute. joins us on this episode to discuss The Wheel of Awareness, a mindfulness tool for cultivating peace, ... See More resilience, and your highest self. 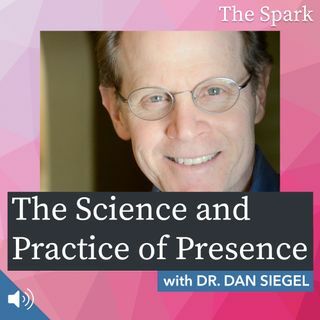 Through his extensive research in psychiatry, quantum physics, and spirituality, Dan connects the dots for us and gives us a guide for creating a well-balanced, deeply grounded, and more fulfilling life.